Why are tokens being phased out? The use of TAP cards has caused Metro tokens to become obsolete. As token use continues to decline, TAP cards have proven to be a viable, cost effective replacement that enables simpler, safer travel throughout LA County. How long will it take for tokens to be phased out? 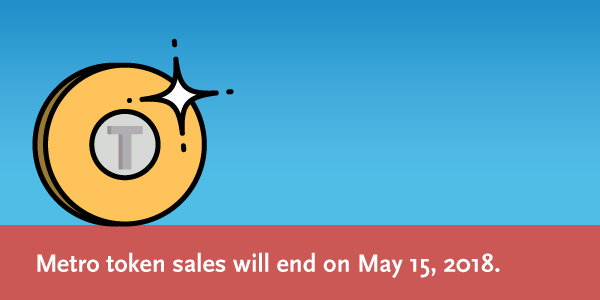 The sale of tokens will cease in May 15, 2018. Tokens already in circulation will still be accepted until November 29, 2019. Unused tokens cannot be returned. TAP cards will replace tokens. Loading fare onto a TAP card is the safest and most convenient way to travel throughout LA County. Where can I get a TAP card? How can I get a reduced fare TAP card? If you are a senior citizen, a person with a disability, a college or vocational student, or a K-12 student, you may be eligible for reduced fares. To review reduced fare eligibility and apply for a Reduced Fare TAP card, visit taptogo.net or a Metro Customer Center.